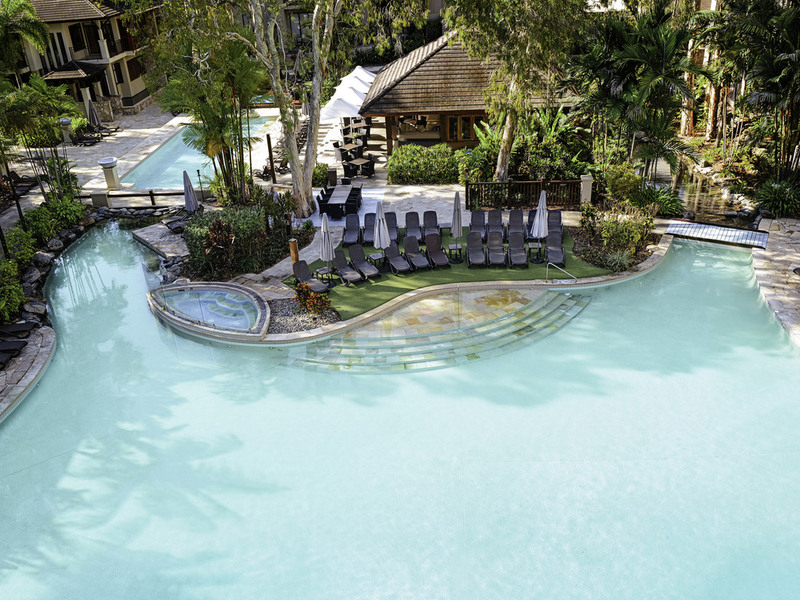 Surrounded by some of Australia's most attractive backdrops, Pullman Palm Cove Sea Temple Resort & Spa provides the ideal base for exploring the Great Barrier Reef, the Daintree Rainforest and the Atherton Tablelands, as well as Cairns and Port Douglas. Tastefully appointed and elegant guest rooms at Pullman Palm Cove Sea Temple Resort & Spa provide a spacious, relaxing retreat for both business and leisure guests. Choose from a range of accommodation options including studio rooms, one, two and three bedroom apartments - and for guests who really want to indulge, Plunge Pool and Penthouse options. Rooms offer a private balcony or terrace, flat screen TV with in-house movies, 24 hour in-room dining, robes and slippers, and limited housekeeping. Simple informal and relaxed Temple of Tastes is a Palm Cove restaurant which offers stylish resort dining in a modern understated yet sophisticated setting whether dining inside the restaurant or alfresco on the Terrace. Surrounded by water features and swimming pools The Lagoon Bar offers a large selection of delicious Sea Temple Cocktails full bar service and a menu of brunch lunch and snack style meals.